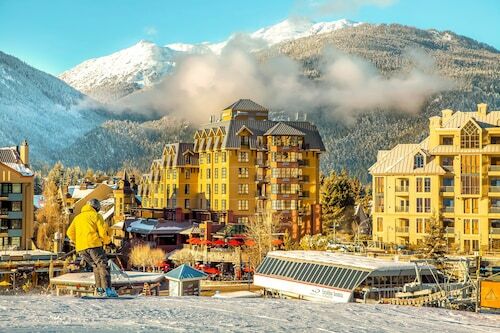 No hoops to jump through or moguls to jump over—just rewarding hotel deals in Whistler, Aspen, Vail, Tahoe, the list goes on. Book now. 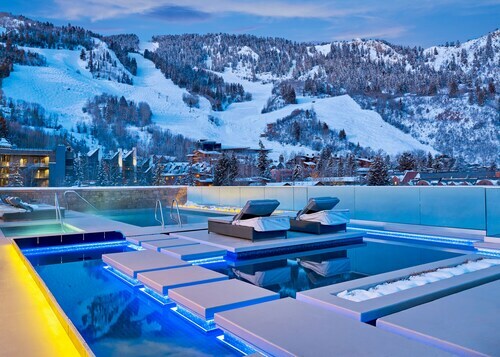 Awesome place. We’ll def be back!!! 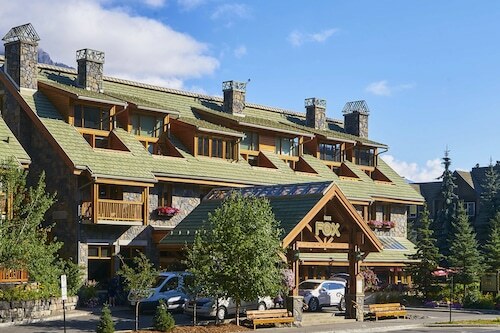 Hotel staff was excellent and very helpful. Rooms were exceptional!!! The only problem that I found was a stain in one of the towels that did not look good at all. Also, it was a bummer that there was no room service especially when is freezing cold outside. Great Experience. Breakfast was a little sparse and awkward... but other than that it was great. Staffs were very helpful. But the carpet in our room was dirty. May need cleaning. 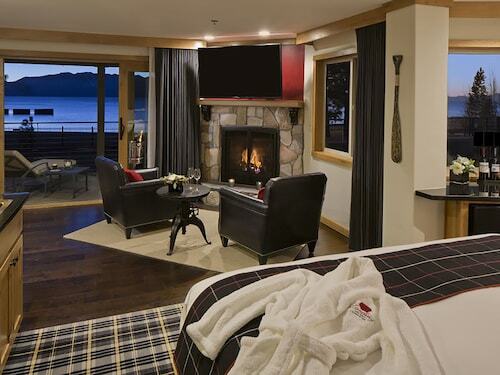 Great hotel close to the lake! 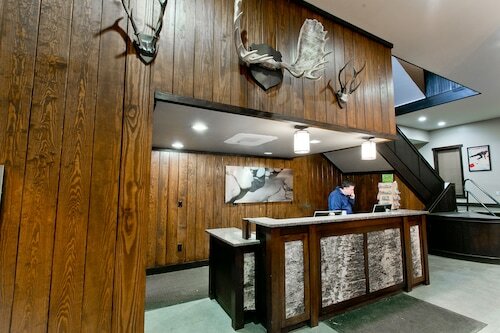 Game room and has a casino and great food options within the hotel. 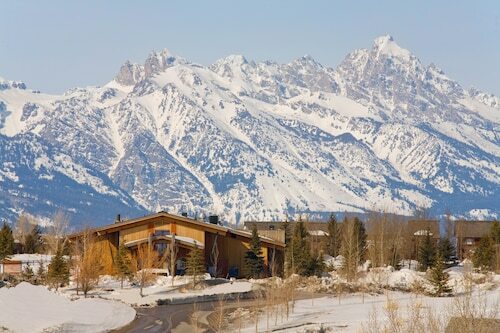 Awesome property and the Teton Mountain view from the room and balcony was perfect. Was generally a great place to stay in Jackson, the onlyu issue we had was service was very slow in the Bar and for Breakfast. 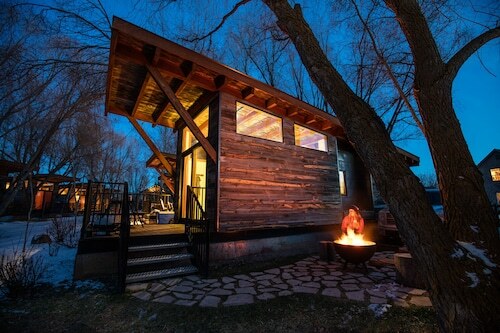 Fantastic cozy cabins. 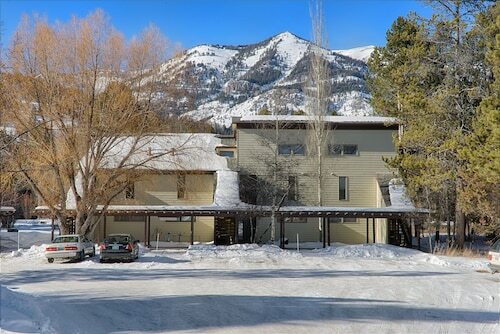 Very spacious right next to Teton Village Ski Resort. Plenty of things to do within walking distance Running trails close by. Cabin was very clean and modern. Resort staff is very friendly and welcoming. 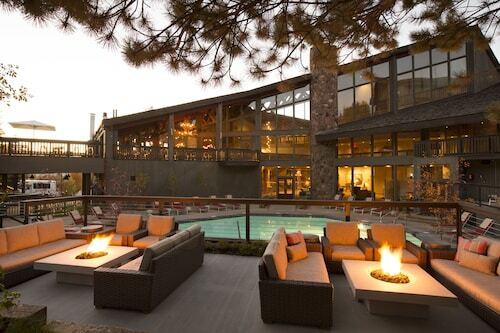 Would definitely stay here again. 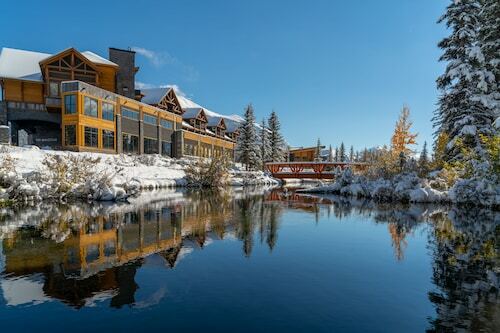 It is a quiet place, even thought it is a little bit far way from yellow stone national park. It is worth to stay the hotel. 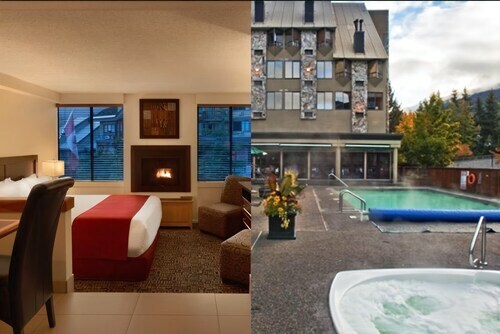 The hotel is like apartment( which has two room and one livening). It is very suitable for a family. 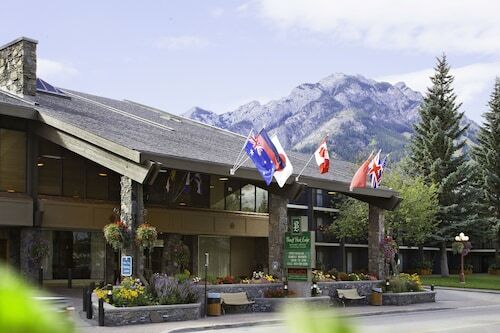 Great hotel, staff were very helpful and it is dog friendly! Super hotel. Close to everything. Amazing breakfast. Easy parking. Clean and tidy. Great staff. Small rooms. I would stay here again. On the outskirts of town but free bus transportation helpful and not too bad of a walk. 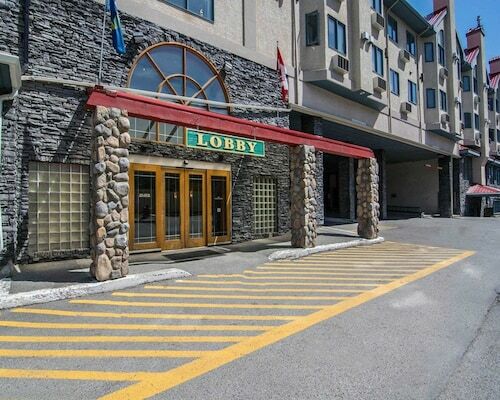 Nice location within walking distances to shopping area and restaurants. Bed was comfortable. Breakfast was okay. The service was excellent. 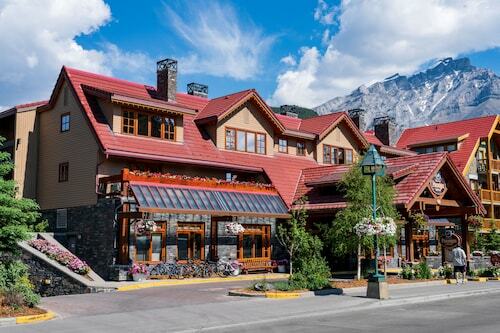 We noticed a lot of places were short staff like the hotel, however the service was excellent. The room is spacious but the beds were not comfortable. 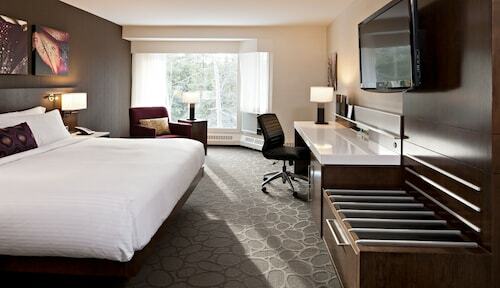 Great and spacious rooms. Everything is modern. 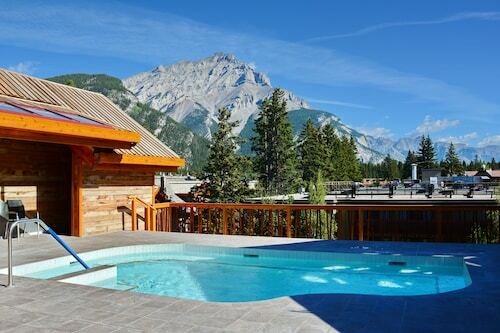 Probably the best property we stayed in Canmore so far. Better than the pictures. 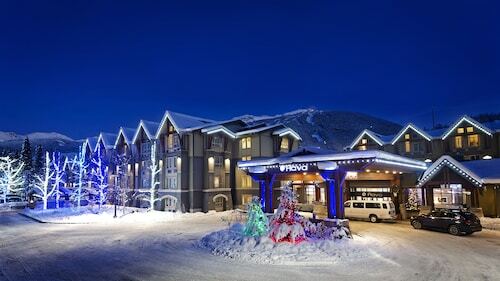 Clean accommodation and helpful staff. Great overnight stay. Clean, quiet, friendly and professional staff. Fantastic facilities. Stay was fantastic and we all had a great time! Very dog friendly! 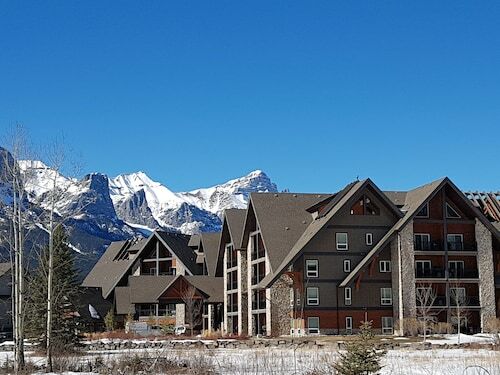 This family-friendly Kananaskis hotel is located in a regional park, 4.3 mi (6.9 km) from Nakiska Ski Resort, and within 25 mi (40 km) of Mt Yamnuska Trailhead and Fortress Mountain Ski Resort. Heart Mountain Trail and Grotto Canyon Trailhead are also within 32 mi (52 km). 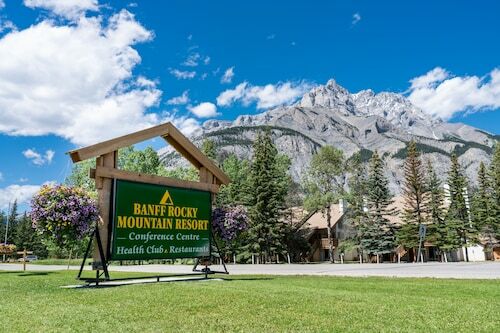 Beautiful grounds, food is good but a bit over priced. Asked for chocolate covered strawberries and sparkling cider to be in our room for our anniversary upon arrival and they forgot. Never hot them. Very friendly and helpful staff. 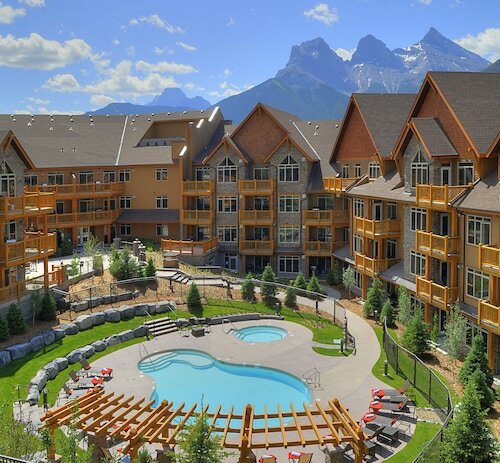 Wonderful facility with so much to do right there at the resort. We went as a couple but would love to go back with our kids. We didn’t try the steak house but the burger restaurant was fantastic. good front office staff, feindly generally helpful didn't like that washing machine brokedown in our unit, very poor communication about the issue and no message that it was OK to use until I called and since it was our last night I decided to not use it in case it wasn't truly ready for use. Nice, friendly staff. Good sized room. Overall, the food was good, except for the bakery. Close to a lot of family friendly activity's. 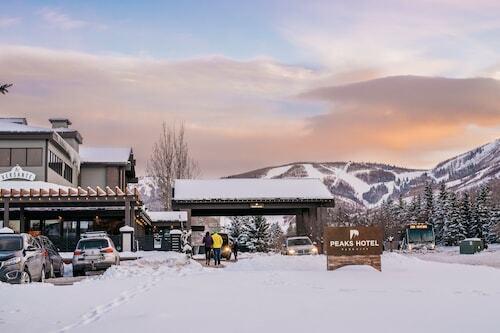 The local free bus gave us easy access to all of Park City. 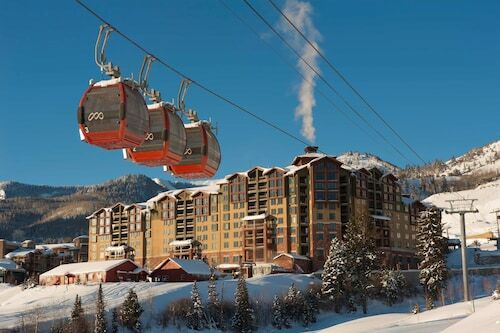 The proximity to the ski lifts is a major plus. The staff is very friendly. 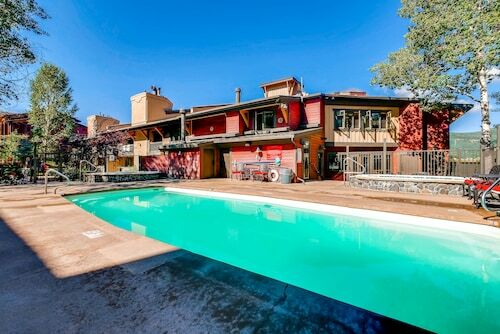 Great location and center courtyard. 2 bedroom room was huge. We loved the cookies at check in. The staff were friendly and the hotel was easy to find. The hotel restaurant was good too. Was very nice and clean. Only complaint was the room was very warm and could not get it to cool down. We really enjoyed our stay. The beds were comfortable and the condo was very roomy. There was some noise in the walls that sounded like water running through pipes. Sometimes got quite loud. Other than that we loved our stay. 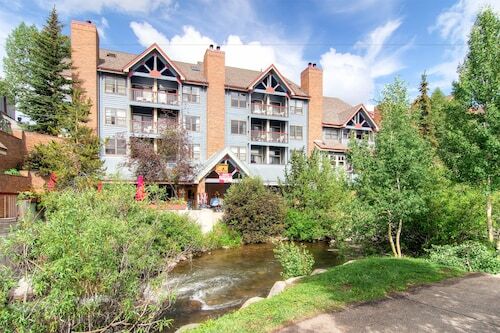 Well located and near most attractions! The quality value was also great! 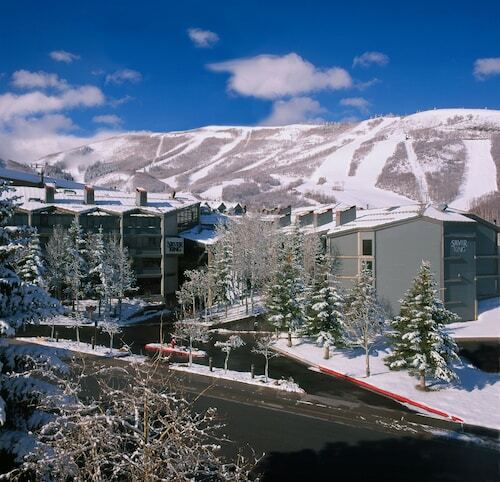 Located near the slopes, this Deer Valley condo resort is in the mountains, within a 15-minute walk of Park City Museum and Main Street, and close to winter sports such as skiing lessons. 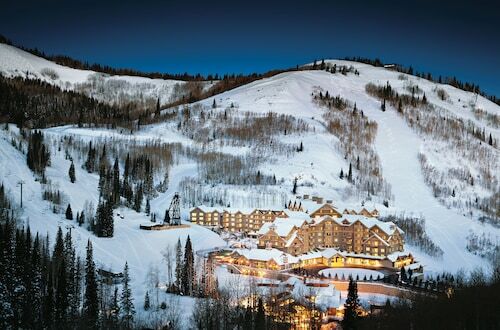 Deer Valley Resort and Park City Mountain Resort are also within 2 mi (3 km). 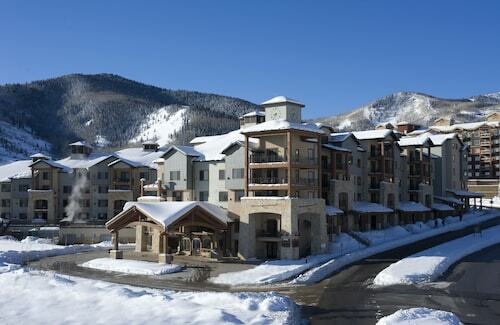 Conveniently located near the ski slopes, this Deer Valley condo resort is within 1 mi (2 km) of Park City Museum, Deer Valley Resort, and Main Street. 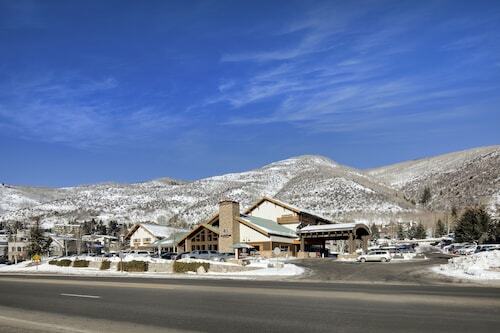 Park City Mountain Resort is 2 mi (3.2 km) away. 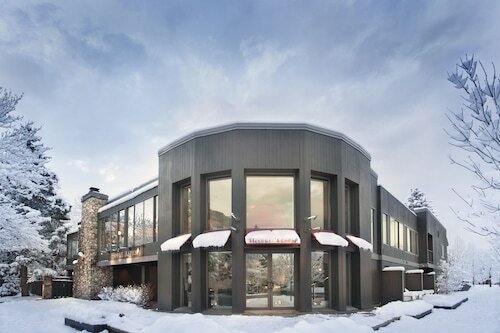 Breakfast was really good, room was large and comfortable and very clean, it has a great location halfway between outlet mall and downtown Park City. 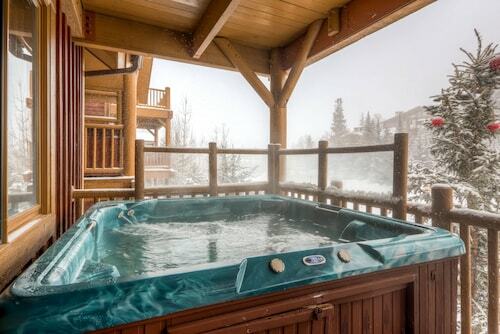 Nice Jacuzzi but if you did not wake up before the neighbors you could not get enough hot water to fill it. TV needs to be upgraded, I think it was a 32" and the rooms do not have their own cable box. Other than that it was really nice. We thoroughly enjoyed our stay. 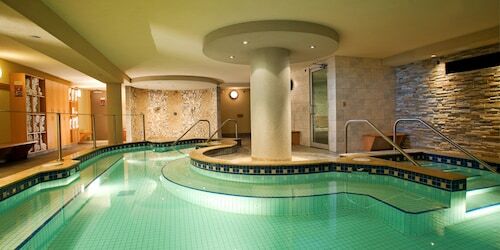 The only negative was the spa messed up our massage and I expected a little more of a response from them other than saying we will correct it in the future. 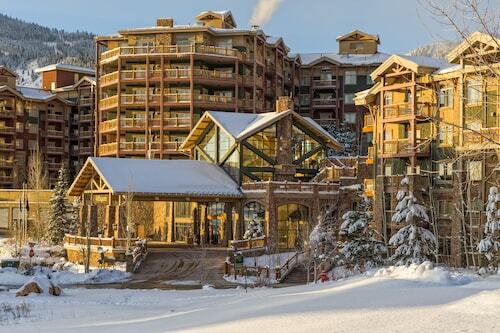 Located near the slopes, this Vail condo resort is in the mountains, within 1 mi (2 km) of Adventure Ridge and Vail Ski Resort, and close to winter sports such as cross-country skiing and snowshoeing. John A. Dobson Ice Arena and The Steadman Clinic are also within 10 minutes. 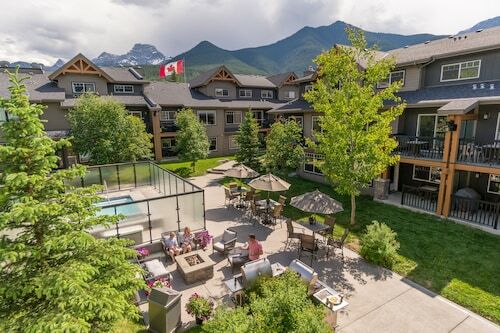 Its a great value, in a fantastic location. The carpeting needs to be updated. Location was excellent! 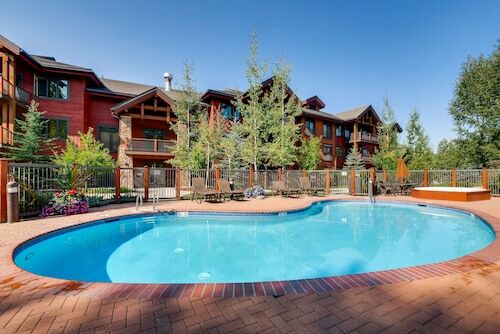 The unit had everything you needed and the pool and hot tubs were great. Will definitely be back. Great peaceful setting! 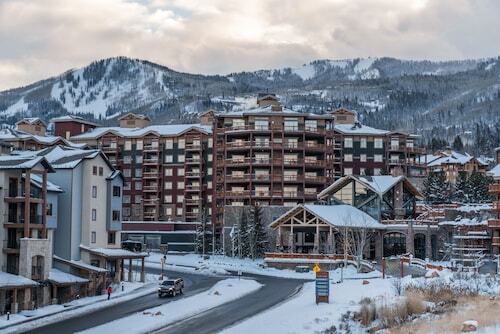 Completely enjoyed the Beaver Creek area! 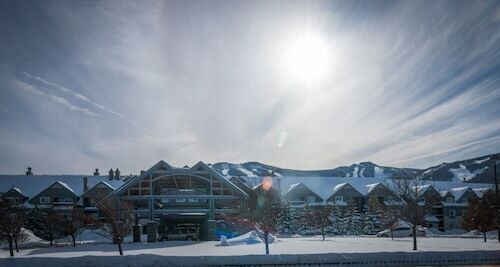 The weather and the view are spectacular! 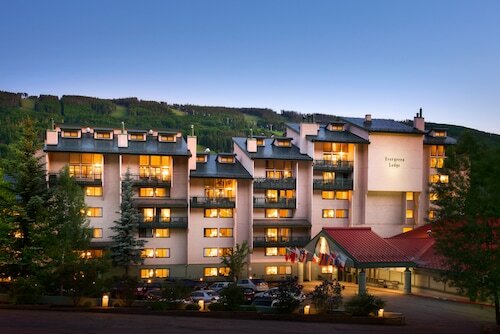 We LOVED our stay here! Highly recommend, we will be back! We loved everything. 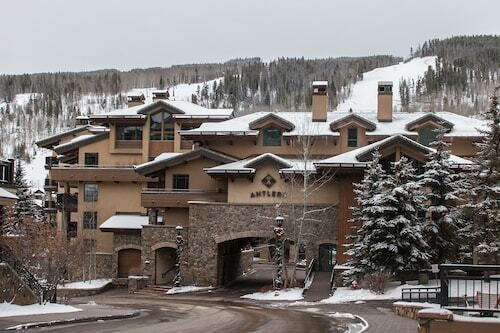 So close to the villiage and the lift. The staff was excellent. Stacy Jacob and Jackie were so good to us. All staff bent over backwards. Rooms are great, but breakfast there is WAY over priced and terrible quality. For the A la Cart (more expensive than buffet) the food quality is less than acceptable. I would think if something is being made fresh it wouldn't be the same exact food that's on the buffet. 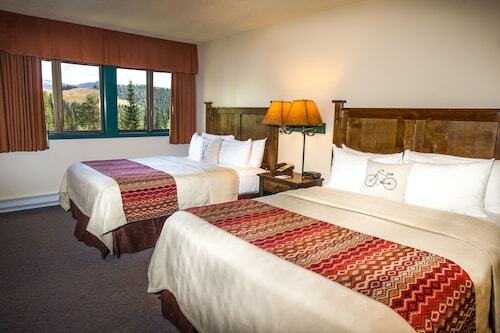 Very nice and clean B&B! 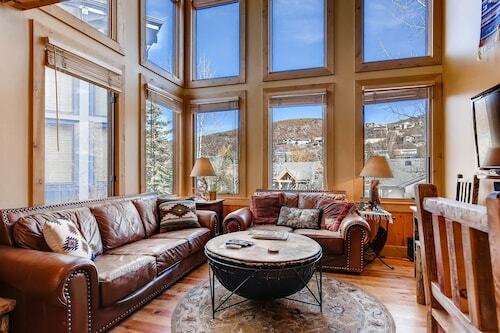 Spacious and great location. The hostess was very nice and accommodating. A bust stop to Beaver Creek was less than a block away. I was pleased. Please continue to offer more vegan options. 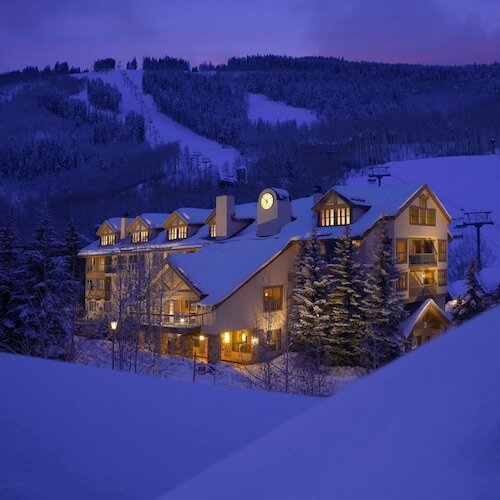 Conveniently located near the ski slopes, this Beaver Creek hotel is within a 5-minute walk of Beaver Creek Hiking Center, Beaver Creek Resort, and Beaver Creek Nordic Center. 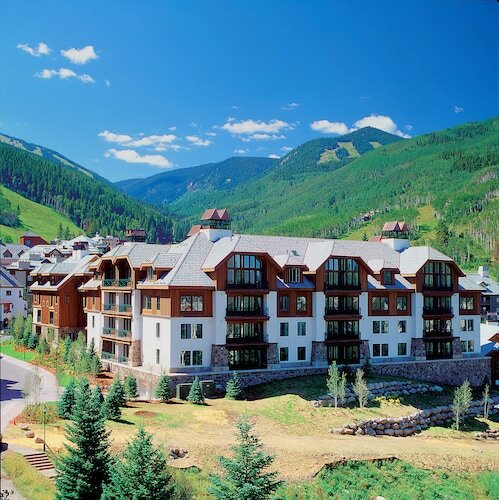 Vilar Performing Arts Center and Beaver Creek Golf Course are also within 10 minutes. so acccessible to town and skiing. convenient shuttle- everywhere! 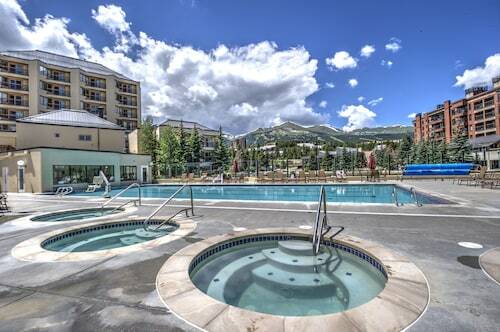 I loved the hot tub and outdoor pool and they were so great about rides to the airport, other mountains, etc. they were also super nice about printing stuff for me and shipping baggage. 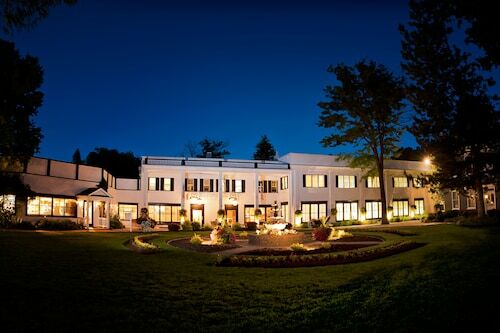 The staff was nice, Nice stay, comfortable place. breakfast was good. Excellent breakfast !!! Location is great, easy walk to everything. Rooms are dated for sure as is the hotel. But that is likely why the reasonable price. I would go back. 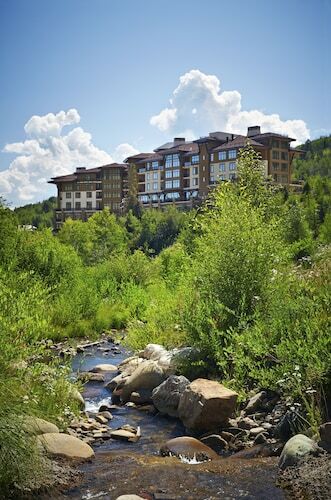 Situated in Snowmass Village, this hotel is within 1 mi (2 km) of Snowmass Ice Age Discovery Center and Snowmass Mountain. 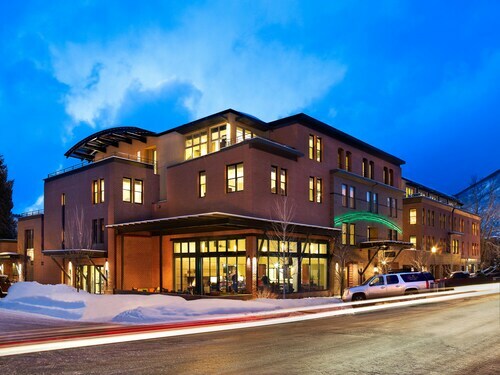 Snowmass Mall and Anderson Ranch Arts Center are also within 1 mi (2 km). Room was small but comfortable. Would have liked it if they valeted ski boots and poles in addition to the skis. 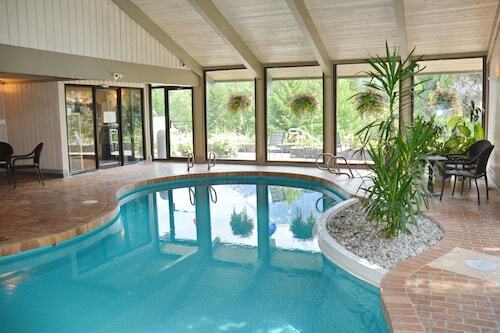 Loved the indoor/outdoor pool and hot tub. 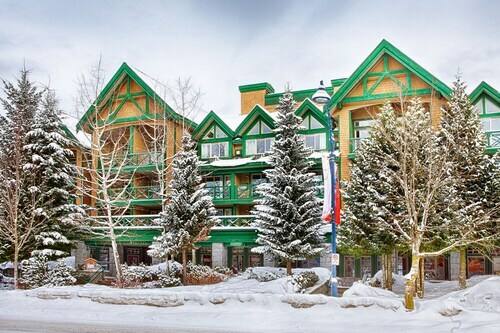 Great location, so close to gondola, shops and restaurants. 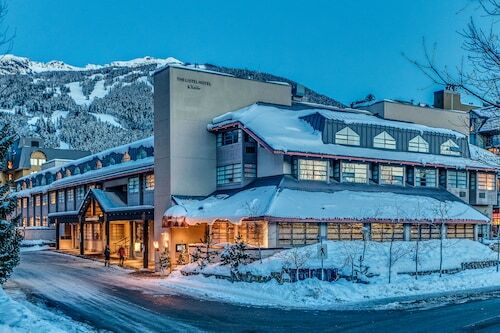 Nice hotel - hit or miss with staff. Many seemed to be on a gap year. Hotel was great. 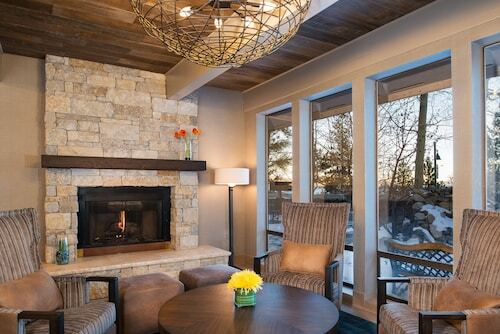 Room was great, loved the fireplace. The view was great (room (804) and the room was quiet. 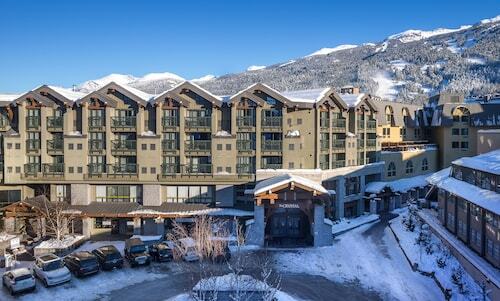 Nestled on the slopes, this ski-in/ski-out condo resort in Blackcomb is within 2 mi (3 km) of Whistler Blackcomb Ski Resort, Whistler Village Gondola, and Coca-Cola Tube Park. 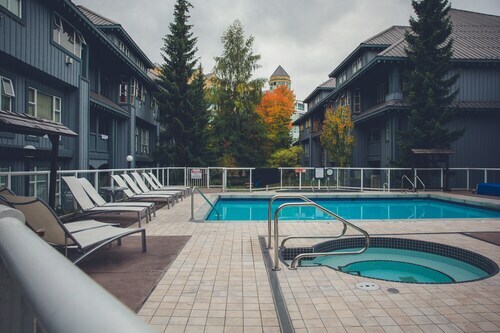 Scandinave Spa Whistler and Nita Lake are also within 3 mi (5 km). Superb staff! 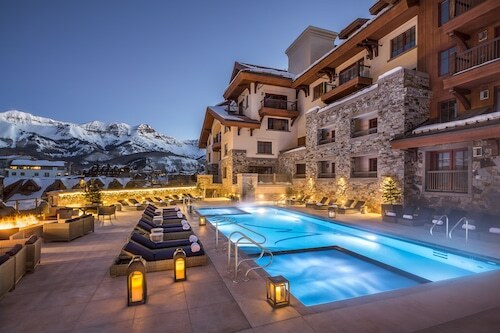 Very nice hotel. 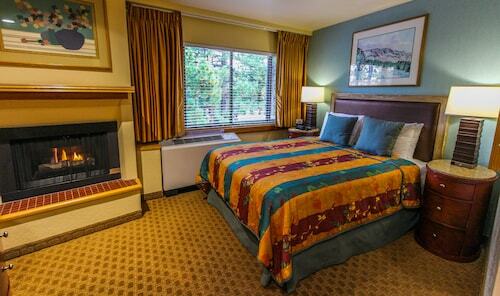 Rooms with 2 beds and adjoining rooms are very helpful. 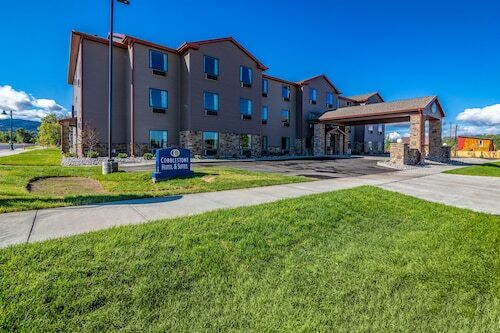 Excellent stay and close to everything. They gave us a complimentary upgrade without even us asking. Room was big with a balcony and mountain view. Coffee hot chocolate and tea free with kureg machine. We loved how the hotel was in the middle of the village making everything so easily accessible. 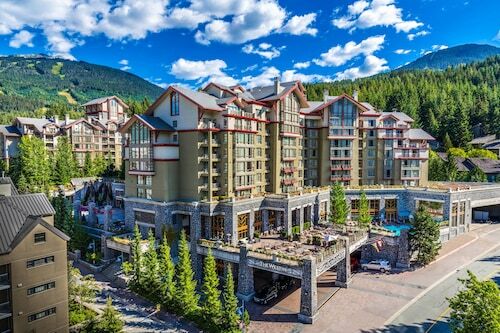 Quick access to lifts, rentals and restaurants. 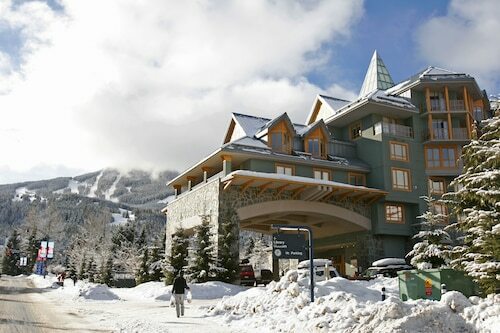 Staff were happy to store luggage and skiis. 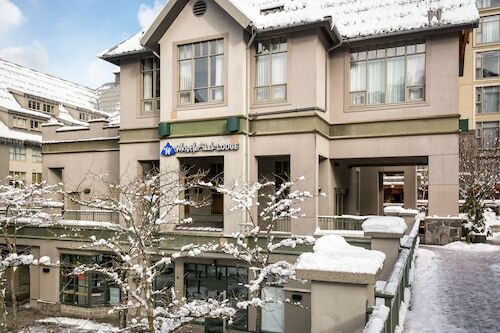 Central location with a very helpful front desk group! Love the Grand, its nice everytime we go. 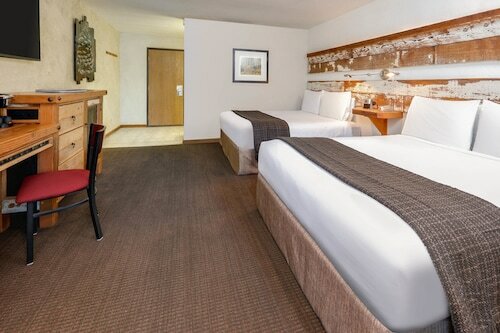 The rooms are always clean and the location is awesome. 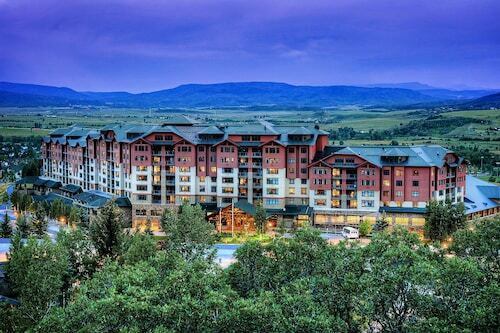 Situated in Steamboat Springs, this condo resort is within 1 mi (2 km) of The Tennis Center at Steamboat Springs and Steamboat Ski Resort. 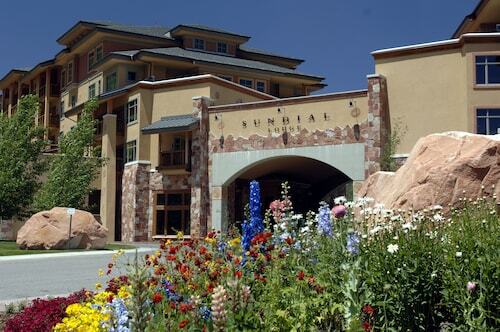 Amaze'n Steamboat Family Fun Park and Yampa River Botanic Park are also within 3 mi (5 km). 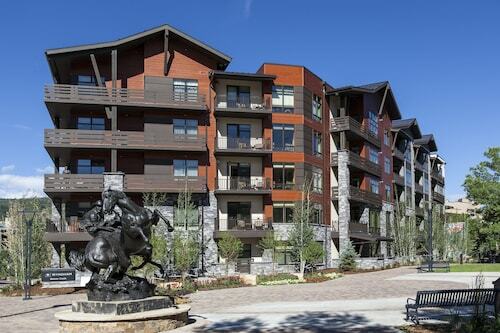 Great location next to the mountain and right in downtown. 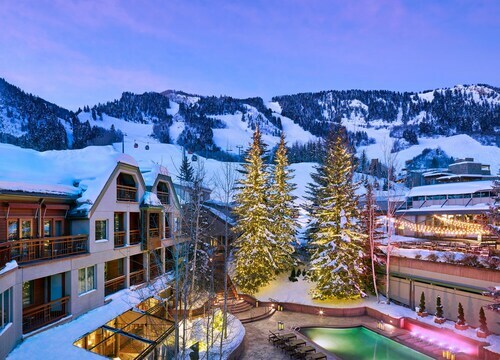 Great ski in and ski out location. Staff very friendly and helpful. Room itself was great with nice balcony. But the beds were very hard and not comfortable to sleep on. 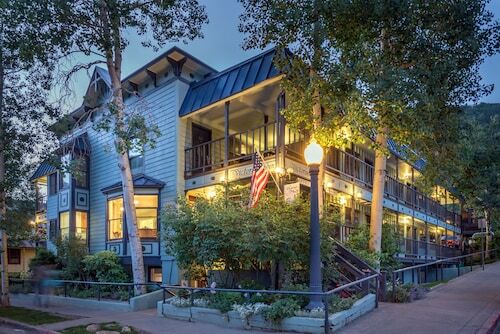 This was my second visit to the Madeline Hotel in Telluride. 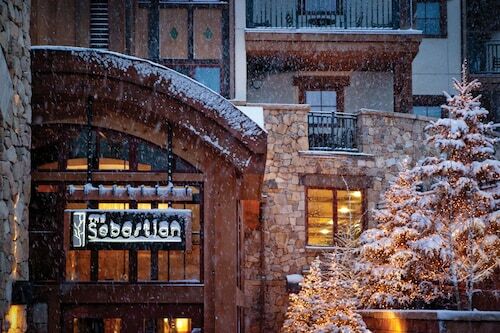 The Mountain Village is like being in a dream village. 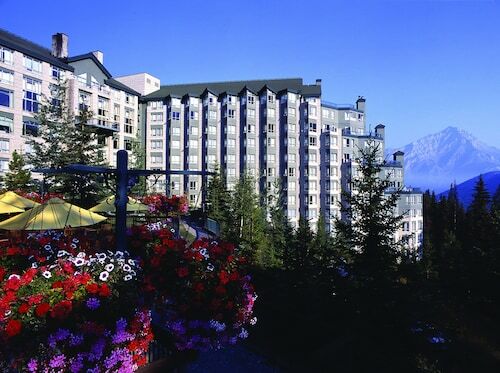 The hotel is incredible as well as the entire hotel staff. 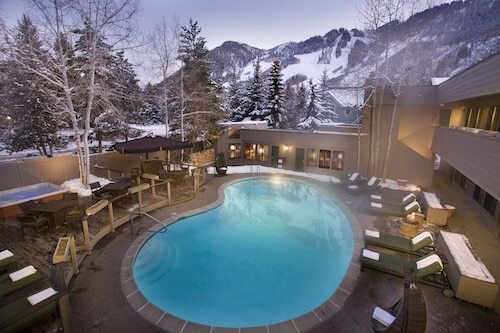 I truthfully want to move to Telluride and be a part of this magnificent place! 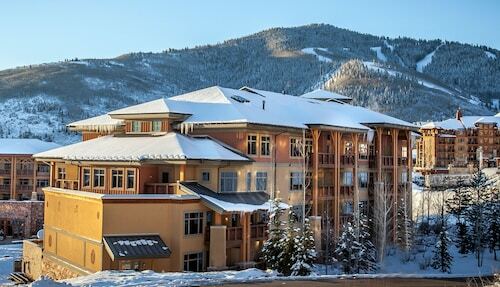 Nice hotel clean close to slopes. 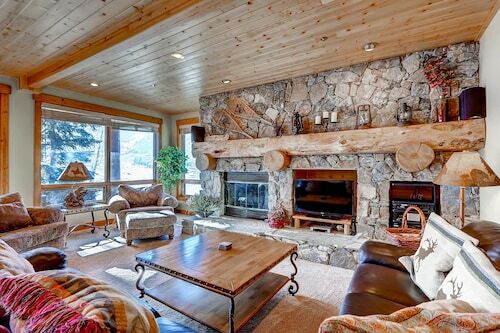 A bigger dining room for breakfast and larger selection of breakfast food would be nice and a microwave oven in rooms. Would stay here again. 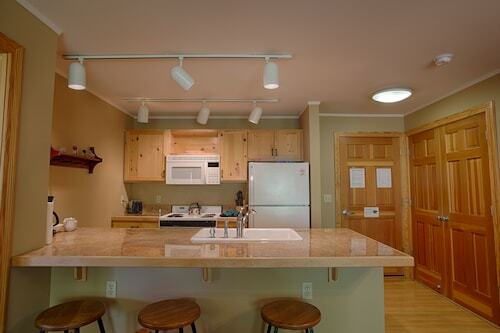 Conveniently near skiing facilities, this Killington condo building is located next to a golf course, within 3 mi (5 km) of Killington Golf Course and Killington Resort, and close to winter sports such as cross-country skiing and skiing lessons. 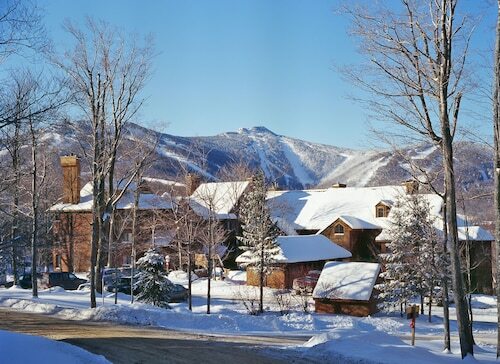 Pico Mountain at Killington Ski Resort and Little Pico are also within 6 mi (10 km). Staff members were so helpful and polite. They made sure my stay was pleasant. The view from my room was breathtaking.